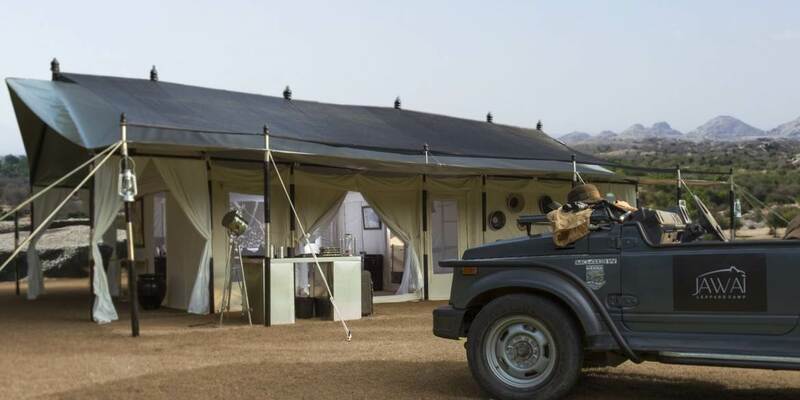 The beautiful Aravalli Hills in the wilderness of Western Rajasthan is the setting for Jawai Leopard Camp. Easily accessible from either Jodhpur or Udaipur, this beautifully remote location is where the latest tented creation from SUJAN can be found. Delicious meals are served in the Dining Tent while all around the encampment discreetly located comfortable areas are perfect for resting in. 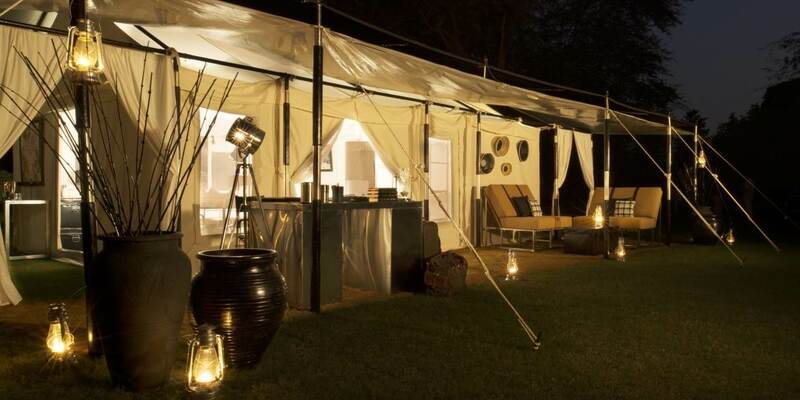 A Spa Tent is tucked away in the lap of seclusion, making it the perfect place in which to enjoy a relaxing treatment after a day of adventure. The staff will be more than happy to arrange rambles in the countryside, sun downers or private dining at a host of inspiring spots. For heritage lovers, the remarkable UNESCO World Heritage Site of Kumbulgarh Fort and the fantastic sculptures of the Jain temple complex of Ranakpur are only an hour’s drive away. 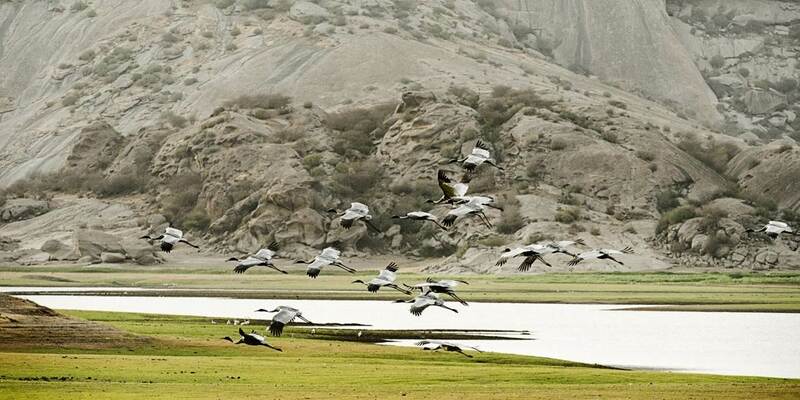 Jawai’s location provides for an entirely different experience from the rest of Rajasthan, just minutes away is Jawai Bandh one of the region’s largest water reservoirs and a magnet for an amazing array of migratory birds including geese cranes and flamingos. The main attraction of Jawai is of course the elusive leopard, a thriving population of which has always ranged across the region. Customised 4x4 safari jeeps complete with expert trackers and drivers are used to take guests out to seek these normally elusive felines. 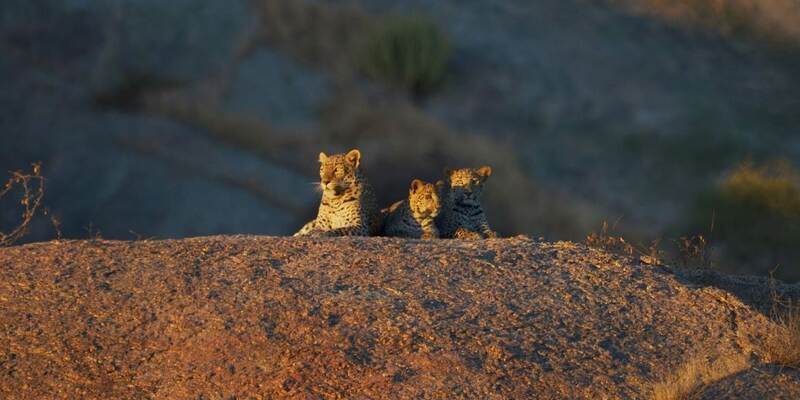 Although a sighting can never be guaranteed, the camp is virtually enclosed by leopard country so the chances are high. Beautiful as these big cats are, they are not the only resident around Jawai. 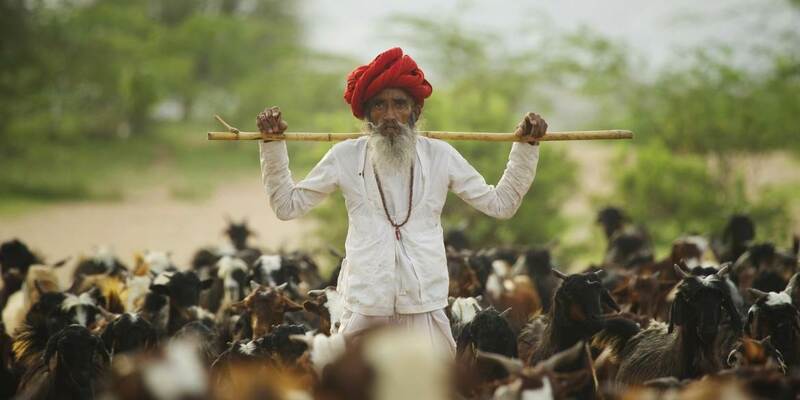 It is also home to Sloth Bear, antelope and the rarely seen Indian Wolf, all of which coexist with the local Rabari herdsmen who have shared this landscape for centuries past. 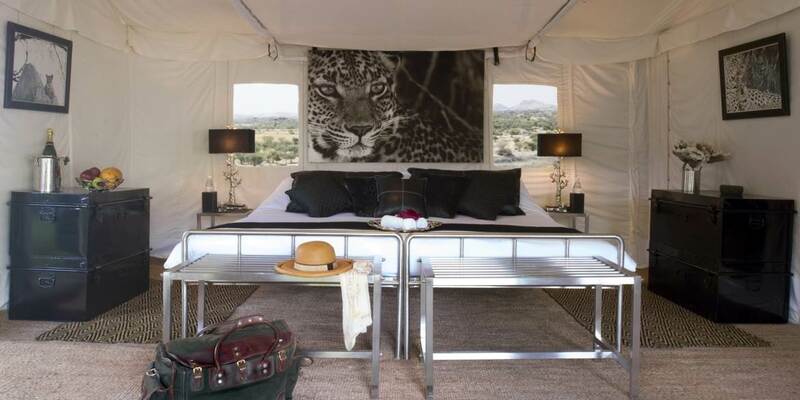 Jawai Leopard Camp provides a haven of luxury while still fulfilling a commitment to conservation, working closely with local communities and with low impact tourism it aims to preserve the Earth as a source of life. 8 luxurious tents, havens of space and privacy rest in a stunning landscape, with environmental awareness a high priority. Designed with a modern flair each of the tents is a creation of pale canvas, stainless steel and leather accoutrements, the accommodation is enhanced by a private deck that has unobstructed views over the dramatic landscape of craggy granite formations of caves, kopjes, and winding sand riverbeds . The furnishings are complemented by a charming collection of decorative artefacts; hand crafted using age old traditions of Indian craftsmanship, by the celebrated artisan Michael Aram.Delicious meals are served in the Dining Tent while all around the encampment discreetly located comfortable areas are perfect for resting in. 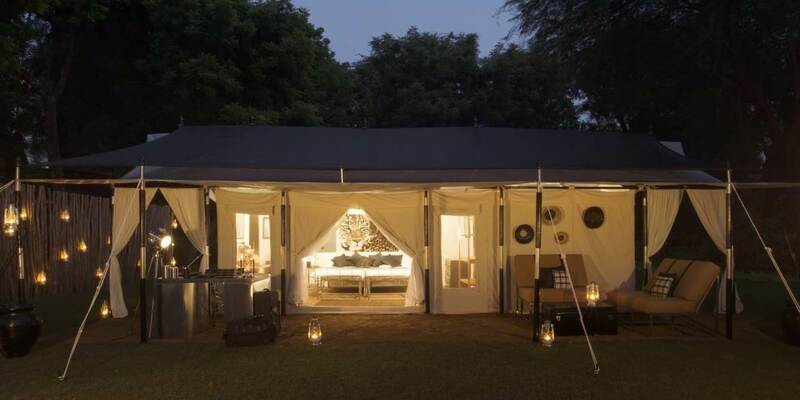 A Spa Tent is tucked away in the lap of seclusion, making it the perfect place in which to enjoy a relaxing treatment after a day of adventure. The staff will be more than happy to arrange rambles in the countryside, sun downers or private dining at a host of inspiring spots.